Electrical installation projects can already be stressful, but it will be more troublesome to handle especially when they are not done correctly. As homes usually have plenty of electrical appliances and electrical fixtures, you’re better off having them installed correctly in order to avoid future problems. 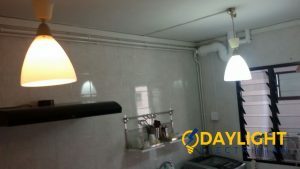 At Daylight Electrician Singapore, we help you handle any electrical services from electrical installations of lighting fixtures to hanging lights to installation and repair of water heaters. We can take care of your electrical installation projects for a new home or business renovation. No matter what your needs are, we are confident of providing you with affordable pricing and timely electrical installation services. Distribution Board/ Breaker panels for HDB flats, commercial shops, and houses. We provide transparent quotes for your installation project and agree on the full price with you, which will remain unchanged unless some unplanned contingencies come up. Whether it is a quick lighting installation or a commercial installation of extensions and fittings, be confident that we will save you money on your projects and will keep to delivery deadlines as agreed. Lighting Installation – The proper combination of lighting fixtures is important to help you improve the aesthetics and style of any home. 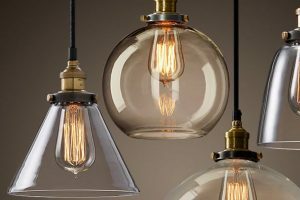 We have a dedicated team of professional and certified electricians in Singapore that will wire and install any lighting fixture or dimmer you prefer. Ceiling fan installation – Daylight Electrician Singapore carry out quality ceiling fan installations for you, we also recommend the best quality ceiling fans for your home and ensure that they are mounted safely on your roof trusses. 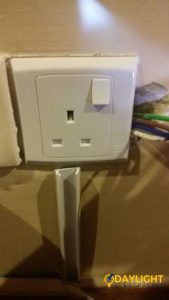 Power Point / Wall Socket installation – Having sufficient power points and extensions within 10 – 12 feet of walls makes your home or office more comfortable for you. Let us help you install power points at your home or office cleanly and without damaging your walls or existing electrical wiring. Our experienced electricians will help you create additional power points that will be positioned where you need them the most. Distribution Board / Breaker Panel installation – If you have issues with your breaker panel, you will definitely be experiencing frequent power outage and trips at home or in the office. We will replace any faulty breaker panel and install a new distribution board where that will suit your current and future needs. Generator installation – Is your office well-prepared to deal with a power outage? Having a backup generator installed will help you reduce downtime whenever there is a power outage. We can help you recommend and install generators and backup power systems that will keep your business running smoothly no matter what. 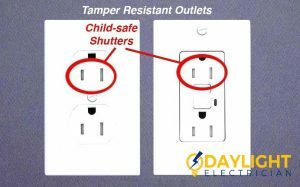 These tamper resistant outlets have a spring-loaded mechanism that automatically switches off the slots in the outlets when there is no plus inserted. 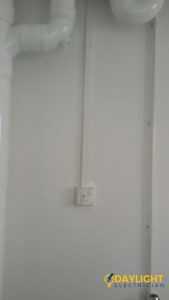 You can opt for this type during your power socket installation. 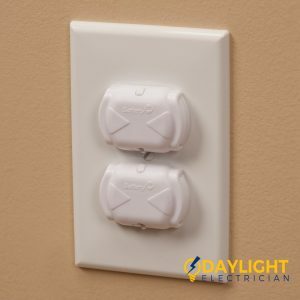 This is a more economical way of baby-proofing your electrical power points as they can be quickly plugged in, covering the slots of the electrical outlet. This is an upgraded version of the outlet cover mentioned above. These deluxe press fit outlet plugs provide extra protection to naughty children who tend to press switches and remove the caps at the same time. Most essential devices and appliances in Singapore households require electricity to run. 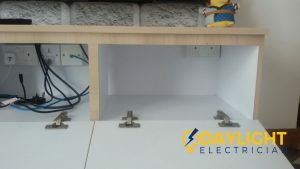 Therefore, careful and professional electrical installation is required to ensure the safety of everyone that’s going to use such household items. Any wrong and improper electrical installation can instantly lead to short circuits that may result in power failures and even house fires. So, it is only wise to contact a reliable electrician in Singapore to conduct any electrical installations in order to avoid any future accidents. All electrical wirings should be placed correctly and secured firmly with the use of clips or staples. Ensure that these staples are also not placed too tightly around such electrical wirings to prevent any damages on the cables itself. This is because such faulty electrical wirings may lead to eventual electrical problems. On the other hand, electrical wirings that are loosely installed can lead to overheating of such cables, which can easily cause an accidental fire. Hence, correct and professional electrical wiring installation is essential for ensuring the safety of residents in Singapore. Most inexperienced electricians may still lack the necessary knowledge required to conduct such electrical installations. 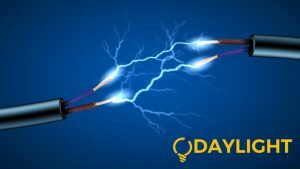 As such, they may inadvertently use electrical wirings of the wrong size and length, which can seriously pose a potential danger to electrical appliances at home. 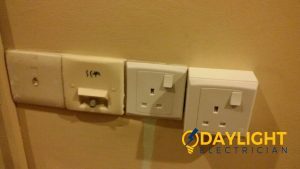 To avoid such problems, only work with an experienced and licensed electrician in Singapore who are able to install wires with proper dimensions as set by local electrical authorities. 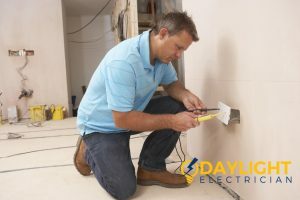 Homeowners should also only work with electricians who have undergone the electrical installation course from recognised institutions in Singapore. 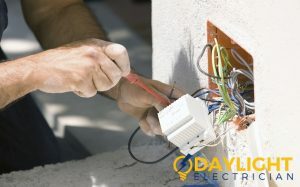 The electrical wires should be adequately covered with plastic cables, without which the wires may be damaged very easily. 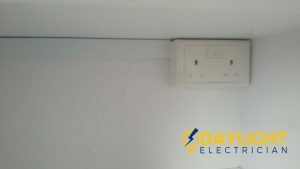 Moreover, electrical junction boxes of the correct size should be used during the electrical wiring installation in order to protect the electrical cables. These junction boxes should never be left open carelessly, to avoid any accident caused due to the touching of the live wires. Hence, these boxes should be firmly covered with metal lids to ensure safety. Avoid short circuits by ensuring that suitable circuit breakers are used during the electrical installation. Your electrician should strictly follow the electrical installation guide provided by the EMA or Energy Market Authority in Singapore. 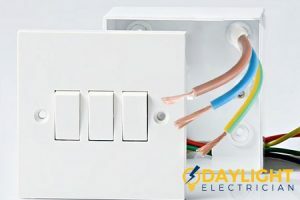 The junction boxes should not be overloaded with too many electrical cables passing through one place, as it may lead to excessive heating and house fires. Hence, it is best to use larger junction boxes and has correctly sized cables passing through these boxes to avoid any such accidents. Ask your electrician to go through his electrical installation checklist to prevent any mistakes and ensure that all the necessary tasks have been completed. Light installations may also be incorrectly done such in the case of wrong placements of live and neutral wires. Reliable electricians should always opt to use a circuit tester to ensure that the correct electrical wiring installation is done. Remember That Everything Is “Live”: Electrical devices and appliances are supposed to be handled carefully, especially when they happen to be live. If you proceed to handle energized wires, then you are at great risk of being electrocuted. It is often a misconception to think that only live wires are dangerous. Oftentimes, people also find it difficult to distinguish one type of electrical wiring from another, which makes it even more important to handle them carefully. Turn the Power Source Off: When dealing with any electrical problems or issues, you should always make it a point to switch off the power source. This ensures your own safety when conducting the electrical work. 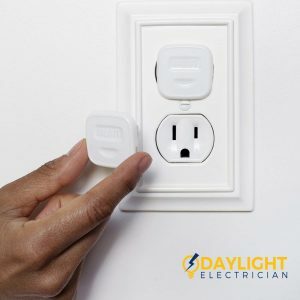 It is only safe to turn the power switch back on when you are done with theelectrical installationand are about to test if the device is working. If you’re hiring a professional electrician to do the job, make sure that they also follow through the course. Ensure Proper Insulation: Tools used to fix any kind of electrical issue or electrical installation should all have “safe” handles. Check that these handles are really made of materials that cannot conduct electricity to ensure your safety and to prevent any potential accidents. Mind Your Hands: Since electrical installation involves mostly manual labour, don’t meddle with electrical work that you are not entirely familiar with. Make sure that your hands are completely dry when working with electricity. Additionally, make it a point to wear electrical gloves and closed shoes. Most importantly, be mindful of what you touch as your hands are the main point of the contact. A trusted and reliable electrical maintenance company in Singapore should know these safety rules. Try To Use Only One Hand: Current basically flows the fastest through the chest cavity. If you use both of your hands at the same time, then you are highly likely to enhance this flow of current because your chest is located in between your two hands. 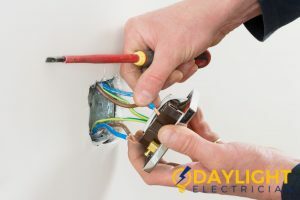 This is why it is always recommended to use electrical tools with just one hand and to keep the other hand away from any electrical conductors. Where Is Your Electrical Installation Located? Inspect the location where you’re doing the electrical installation before starting any work. Remember that it is important to assess the feasibility of the place beforehand. Avoid conducting installation work in a relatively cold room that is likely to be wet. Don’t take any risks and ensure that the place is completely dry and free from moisture. Help A Workmate: Most electrical installation jobs require more than one pair of hands. It is not recommended for anyone to carry out an electrical work by themselves. When dealing with various electrical problems or issues, you are supposed to help each other in the process. If the other person comes into contact with a live wire, remember to turn off the main power supply immediately and avoid touching the person. 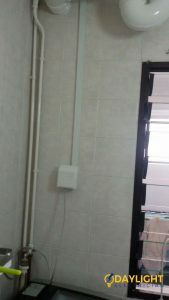 Certified electricians from an electrical maintenance company in Singapore should be aware of these basic safety rules. Our team of highly trained and reliable electricians in Singapore will be more than happy to visit any residential and commercial areas to troubleshoot and conduct any electrical service. All our electrical installation works are covered by a 30-day service warranty. 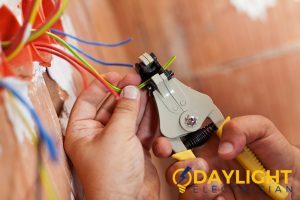 Daylight Electrician Singapore offers a wide range of electrical services in Singapore to help with any of your electrical needs. Contact us now to talk to our friendly staff. While you’re at it, browse through our positive reviews. 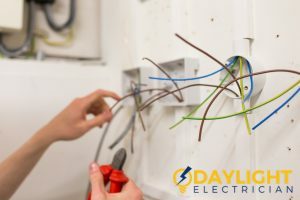 Call us today at +65 6653 6261 for a no-obligation consultation or send an email to enquiry@daylightelectrician.com and we will have a trained and reliable electrician assist you with any electrical installation project for your home or office.